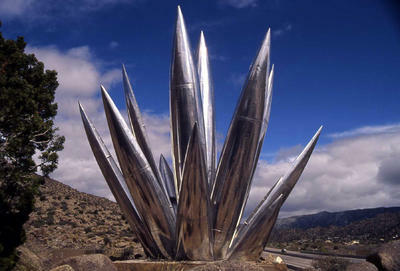 Tijeras Pass is a sculpture located in front of the East Mountain Library. 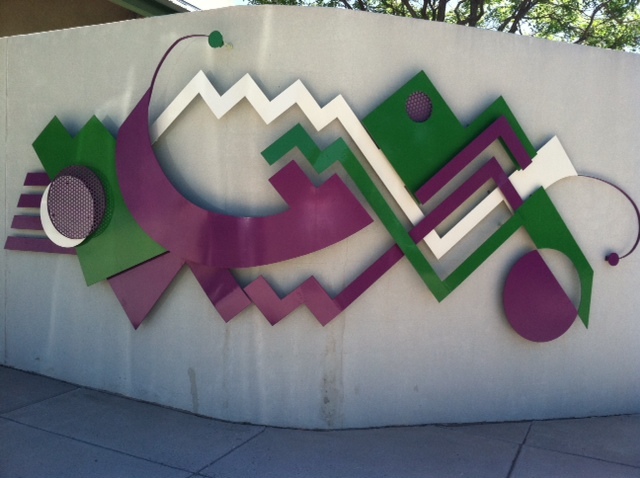 Created by artists Patricia and Juan Navarrete, it was installed in 1995 and sponsored by the Bernalillo County One Percent for the Arts Program. 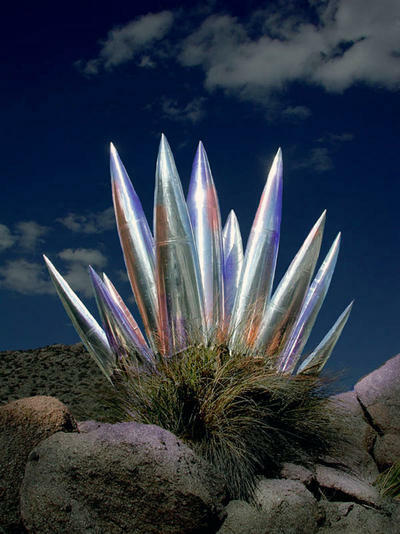 The Aluminum Yucca located just north of route 40 on the way to Tijeras was created by Gordon Huether and was installed in 2003. It is made from salvaged hollow Aluminum fuel tanks from an F-16 military aircraft.